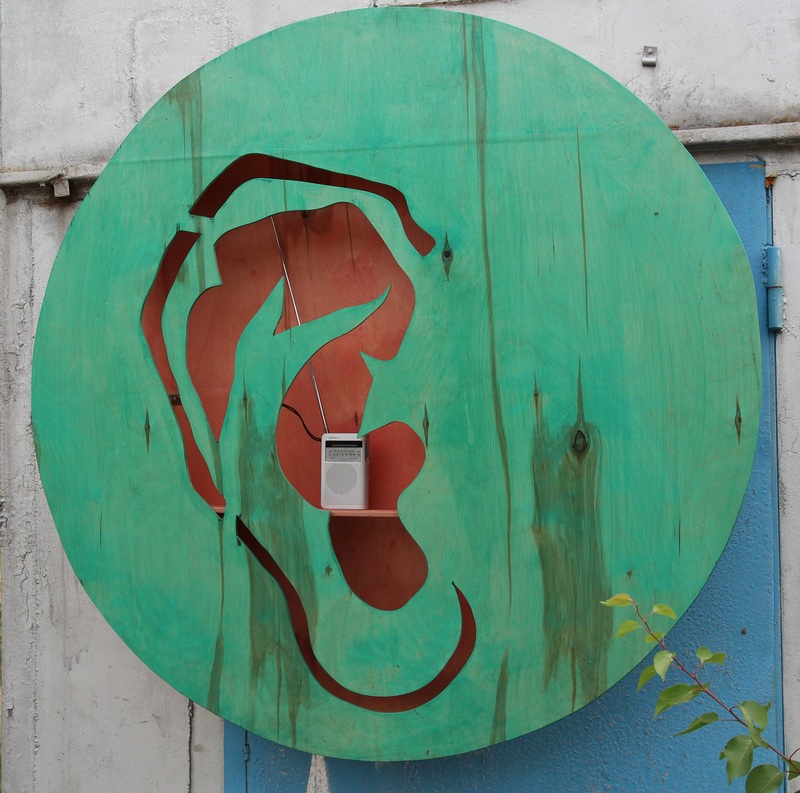 Radio “Voice of Divnogorie” is a micro radio project and series of programs connecting various co-existing in the same area groups of people – inhabitants of the village, the museum-reserve staff, artists of the residence – in audio space. Blinking between voice and radio waves, the artist therefore becomes the receiver-transmitter registering polyphony created by a living area. In contrast to television radio has a rather low technical threshold, that does not require expensive equipment and large staff. Micro radio narrowcasting was organized during three weeks. Nine original issues and one compiled were released. During the opening of the exhibition radio was broadcasting from a specially designed object “The Speaking Ear” (plywood, radio receiver).